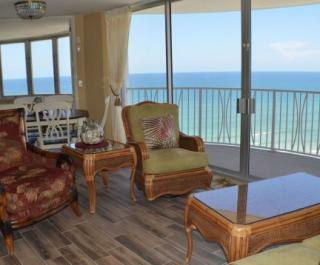 Luxury oceanfront condominiums available at The Shores Club, Peck Plaza or Sunglow Resort in Daytona Beach Shores. The three bedroom condos sleep up to eight and the two bedroom condo sleeps up to six. 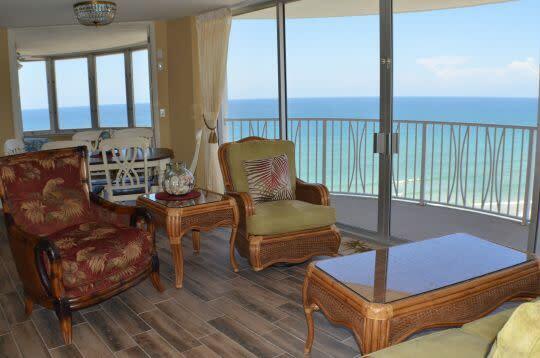 All units have spectacular ocean views from the balcony, master bedroom and living/dining room. We do have a weekly minimum stay requirement with Saturday check-in. Monthly discounts available September through January. Visit our Website to learn more or give us a call.